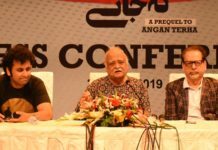 Balaa is a prime time drama serial of Big Bang Productions which is directed by none other than Badar Mahmood and written by Zanjabeel Asim Shah. The drama depicts dynamics between two families, where one family has this sense of superiority complex and the other is simple God fearing self-made people. Zafar (Sajid Hassan) has a daughter Nigar (Ushna Shah) and a son Junaid (Asad Siddiqui). Nigar is Zafar’s most beloved between the two, and he believes and makes sure to let everyone know that all his wealth is because of Nigar’s luck. Nigar is a physically disabled person with inflated ego; she is quite manipulative and sneaky person who uses her disability up to her advantage to overcome her complexes. Junaid got married to Zeba, an orphan, in order to save her from getting married to a man twice her age but Zafar & Nigar uses it against him all the time to make him feel guilty. Nigar never extend any respect to Zeba, but expects from Zeba all the respect. Taimoor (Bilal Abbas Khan) is Zafar’s nephew. 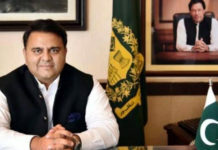 After demise of his father, he is the only bread earner of his family that consists of her mother (Samina Peerzada) and two sisters Saleha & Batool. They are a close knit family with lots of respect and love for each other. Taimoor and Batool are practical minded and not happy with their uncle Zafar. Saleha is simple natured and has a God-fearing heart like her mother. Taimoor likes Saba, who is his mother’s friend Rashida’s daughter, but Saba is interested in someone else. Rashida accepts Taimoor proposal for Saba instantly and makes it clear to Saba that she will only get married to Taimoor. 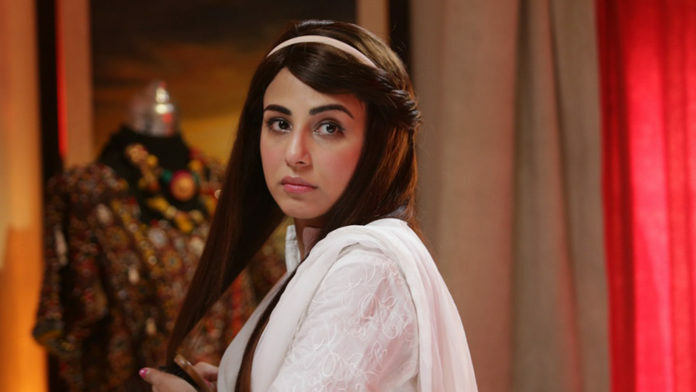 Saba on her mother’s face sacrifices her love for someone else and accepts Taimoor. While Taimoor’s family was overjoyed on news of Taimoor and Saba’s marriage, Zafar comes to ruin their happiness by extending Nigar’s proposal for Taimoor. 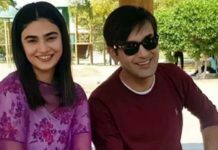 Upon their refusal, he pressurized Taimoor’s family to accept Nigar’s proposal or else he will make sure everyone else cut ties to their family. 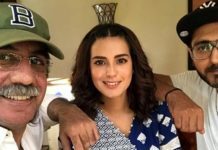 In order to achieve his mission, he even asks Junaid to divorce Zeba and get married to Batool, just to fix Nigar’s wedding. Zeba loses her calm upon this news and creates chaos. Nigar takes this refusal personal and put blame of it on Junaid & Zeba. To take revenge, she plays victim card and throws hot soup bowl on Zeba’s feet so she can’t walk normally. When Zeba complains about it to Junaid, Nigar plays sweet to her and Junaid blames Zeba instead of giving rise to mayhem on petty issues. Zeba receives some unknown phone calls and messages and Junaid gets mad over Zeba. Zafar puts oil on the fire by reminding Junaid that Zeba is not a good character girl. 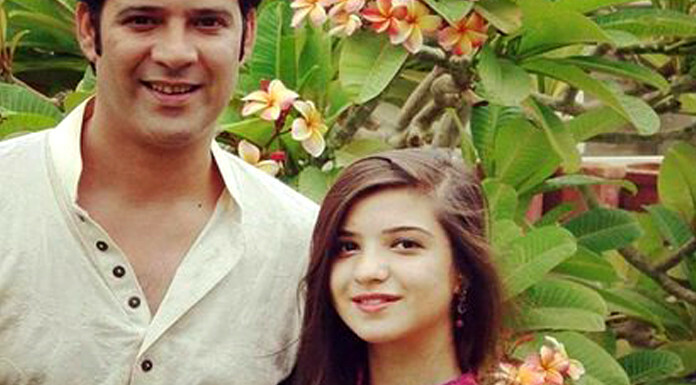 Taimoor’s Nikkah gets fixed and his family takes Saba for shopping. During shopping, Nigar sees Saba meeting her ex-friend for a while when Taimoor’s family is not around. She feels gratification upon watching this and makes some devious plans instantly in her mind. Since Zafar was accusing his bhabhi of not inviting him in Taimoor’s wedding, Taimoor’s mother forces him to seek apology from Zafar. Taimoor doesn’t want to do that but upon his mother’s insist, they go to Zafar’s place. Zafar talks rubbish about their family and says that nobody would go to Taimoor’s wedding. To their surprise, Nigar’s intervene then instantly and says that she will go to the wedding. A lot has happened till now in Balaa in just four strong episodes, and it has surely gained viewers interest as well. The overall acting by every actor is commendable. What next episodes are going to reveal must be something amazing and drama buffs are really looking forward to the next set of episodes. Don’t forget to tune in next Monday at 8p.m. on ARY Digital! 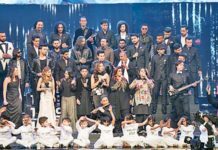 14th QMobile HUM Bridal Couture Week dates announced!